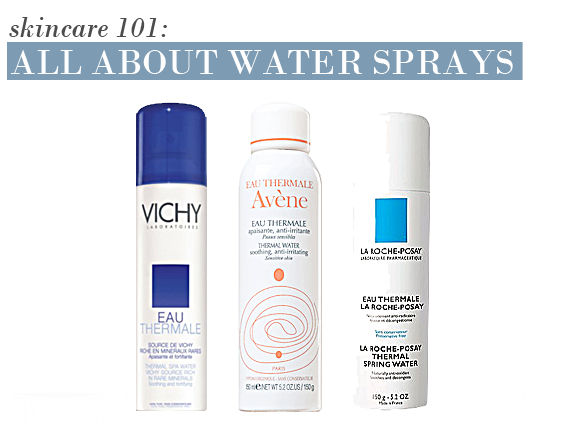 French pharmacy brands are all about the spa water sprays – but what exactly are they? La Roche-Posay’s thermal water is derived from the rain water that filters through chalky, Selenium-rich rocks. This almost pH neutral water is very pure and undergoes no processing before being packaged, so all of its components remain unchanged and intact. The water has incredible antioxidant and protective qualities, it soothes and decongests the skin, and acts as a treatment in its own right for sensitive and irritated skin. It can even be used all over the body to soothe after shaving and sun exposure. Vichy’s thermal water is a truly natural, active ingredient infused with minerals from the core of the Auvergne magma rocks. These fortifying and soothing ingredients are brilliant for the skin, working to calm the skin and reinforce its tolerance daily. With a wealth of mineral salts and trace elements, sensitive skin is made more resistant to external aggressors. It can be used all over, at any time of day for a boost of hydration. Avene’s offering is a clinically-proven, very low mineralised water that is rich in silica and trace elements. Instantly relieving and hydrating, the water is perfect for any skin type that is in need of a bit of comfort. The multipurpose water can be used on sunburn, acne, nappy rash, razor burn, and to set make-up – the entire Avene range is infused with this wonder water due to its exceptional calming capabilities. Caudalie’s hydrating water is slightly different to the others in that it’s made up of grape water rather than thermal water – and they’re 100% organic grapes at that. Caudalie harnesses the soothing and nourishing properties of the grape in each and every one of their products, and the Caudalie Grape Water perfectly showcases the hydrating and soothing properties of the vine. This mist detoxes, refreshes and moisturises the skin at any time of the day. If you want to find out more about the beneficial capabilities of thermal spa water, take a look at this brilliant article from La Roche-Posay. It's the first time i'm using a water spray and i really like it. The air-con at work dries my skin a lot and this seems to be a good answer for a mid-day mist to freshen my face. It doesn't ruin my make up either which is definitely a great benefit. I sometimes use it under my moisturiser for when my skin is especially tight and dry and it works perfectly. This entry was posted on Wednesday, July 6th, 2011 at 8:02 am and is filed under Shopping Guides, Skincare, Skincare. You can follow any responses to this entry through the RSS 2.0 feed. You can skip to the end and leave a response. Pinging is currently not allowed. So so glad that the once secret treasures from French pharmacies are now available from your site! Once I clear my current stock, I shall be ordering from you and ot risk endless backaches from lugging stuff back on the Eurostar! Oh btw love The waters from all the brands!